Namaste Technologies Inc. (OTCQB: NXTTF) (TSX-V: N) is pleased to announce that the Company’s wholly-owned subsidiary, Cannmart Inc. (“Cannmart” or “Cannmart.com“) has received its Access to Cannabis for Medical Purposes Regulations (“ACMPR”) medical cannabis “sales-only” license with no cultivation (the “Sales License”), which is the first of its kind to be issued by Health Canada. The Sales License represents the most significant milestone in the history of the Company and is the final component of its strategy for Cannmart to become Canada’s leading online platform for medical cannabis. Cannmart will operate as an online marketplace for medical cannabis sourced from multiple Licensed Producers, which will offer patients a curated selection of medical cannabis strains in one location. Cannmart has secured over 13 domestic and international supply agreements and will also focus on developing arrangements with micro-cultivators who will provide high-end craft strains, subject to the upcoming regulations of the Cannabis Act. Cannmart’s goal is to offer the largest and most diverse selection of medical cannabis products available in the Canadian market. Further to the Company’s September 18th news release, Cannmart will be allowed to buy pre-packaged, labelled and tested cannabis products. This development is very significant for Cannmart in that it will eliminate the need for buying in bulk, testing and packaging which will significantly reduce overhead costs for Cannmart and thus increase gross profit margins and profitability. By allowing Cannmart to purchase pre-packaged medical cannabis products it can remain focused on its areas of expertise in e-commerce and technology, and further expand on the products and services that can be provided through Cannmart. Namaste operates the largest global online marketplace for cannabis consumption devices, with over 1.5 million customers globally. The Company has acquired and developed industry-leading technology including its e-commerce AI platform, Findify.io (“Findify”) and NamasteMD (“NamasteMD.com“), which is Canada’s first medical cannabis consultation app available in both the Apple and Google Play Stores. The Company plans to leverage its e-commerce technology and expertise to provide a unique user experience for each customer. Medical patients acquired through NamasteMD will be able to onboard and purchase products through Cannmart. 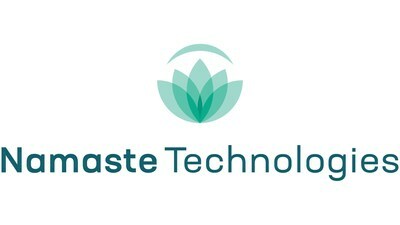 With Namaste’s operations in over 20 countries and consumer databases established in strategic regions including the United Kingdom and Australia, the Company is well-positioned to expand on its cannabis platform in launching telemedicine and cannabis e-commerce platforms in global markets where the company maintains strong market share. interesting, one step at a time, I’m glad Namaste is focused on medical use for patients. this is absurd, I remember when smoking in public was heavily persecuted, now we have online marketplaces for this?